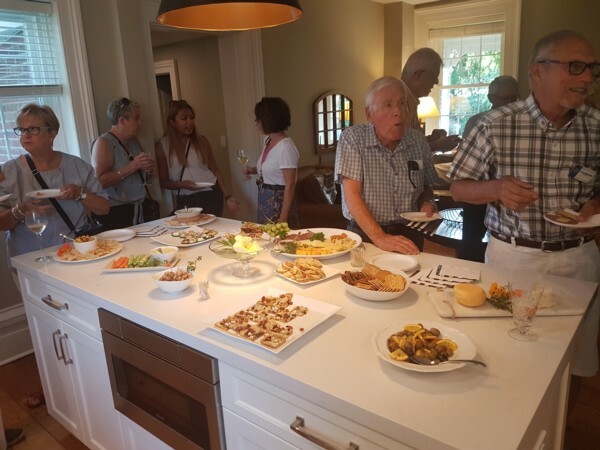 In lieu of its regular morning meeting on August 7, 2018, the Rotary Club of Bowmanville held a "travelling dinner". The evening began at 6:00 PM with appetizers and wine at the home of Lyle and Barbara Goodin. Barbara had prepared a selection of interesting starters to begin the event. Following appetizers, the diners then walked to the home of Ron Collis and Maureen Reed for a salad. The salad of fresh fruits and vegetables was uniquely packaged in a take-away box and accompanied with chop sticks. The next trek was to the home of Mandy and Wes Leufkens where an oriental meal, prepared by Mandy and Renee Bos, was served. 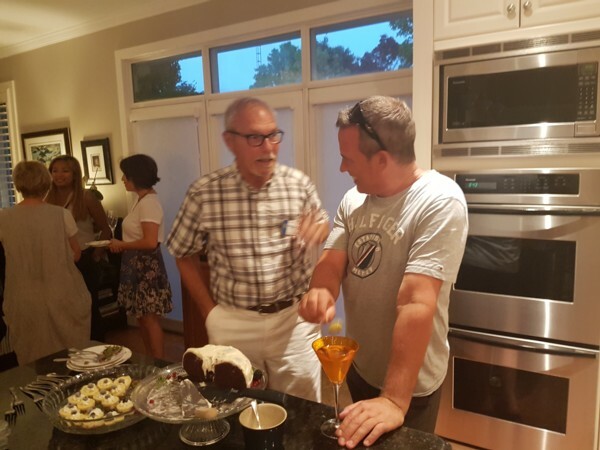 Finally, the guests walked to the home of Pam and Mike Desrochers where dessert, coffee, and other libations were served. Pam had prepared a cake, cupcakes, and fruit dishes that were the perfect end to the adventure.